*Need a dress for that special occassion? *Need something for that new job or interview? *Or just a little ''spice'' to your wardrobe? Going to a fancy wedding???? LOOK FOR OUR LOGO BUSINESS CARD !! 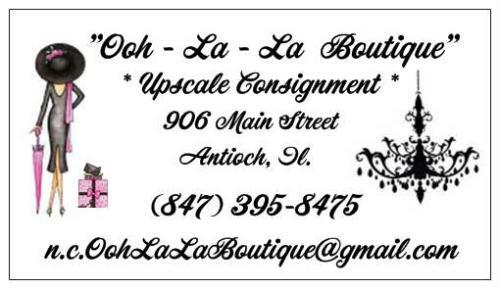 ''Ooh~La~La Upscale Boutique & Consignment'' is here for you. We offer an array of beautiful current & vintage upscale designer clothing & accessories. Dress for success at a fraction of retail.